Using a new computational strategy, researchers at the University of Texas (UT) Southwestern Medical Center have identified 29 genetic changes that can contribute to rhabdomyosarcoma, an aggressive childhood cancer. The group used Bayesian analysis, a method for statistical inference, in conjunction with screening using CRISPR/Cas9, the much-heralded gene-editing tool, to confirm the statistical predictions. The work helps to explain "the engine" driving formation of rhabdomyosarcoma and suggests potential treatments. Furthermore, their research method can be used to identify genetic drivers of other cancers. Nearly all genes occur in cells as pairs. This research focused on genes for which there was only one copy or for which there were three or more copies. "We came up with the idea that the altered expression of key cancer genes may be driven by genomic copy-number amplifications or losses. We then developed a new computational algorithm called iExCN to predict cancer genes based on genome-wide copy-number and gene expression data," said Dr. Stephen Skapek, Chief of the Division of Pediatric Hematology-Oncology and with the Harold C. Simmons Comprehensive Cancer Center. The work also used several new experimental tools, including CRISPR/Cas9 screening technology, to verify the function of these predicted cancer genes in rhabdomyosarcoma. "The iExCN algorithm was developed based on Bayesian statistics, which is fundamentally different from commonly used statistics methodologies, and usually provides more accurate estimation of statistical associations, though it involves more complicated computation and longer processing time," said Dr. Lin Xu, Instructor in the Departments of Clinical Sciences and Pediatrics and with the Quantitative Biomedical Research Center. University of Alberta neuroscientists have identified the neural circuit that may underlie intelligence in birds, according to a new study. The discovery is an example of convergent evolution between the brains of birds and primates, with the potential to provide insight into the neural basis of human intelligence. "An area of the brain that plays a major role in primate intelligence is called the pontine nuclei," explained Dr. Cristian Gutierrez-Ibanez, postdoctoral fellow in the Department of Psychology. "This structure transfers information between the two largest areas of the brain, the cortex and cerebellum, which allows for higher-order processing and more sophisticated behavior. 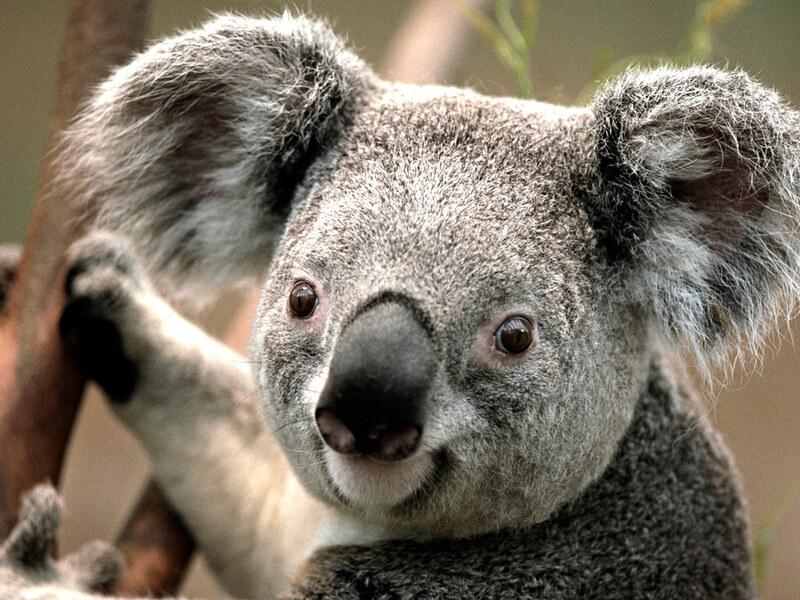 In humans and primates, the pontine nuclei are large compared to other mammals. This makes sense given our cognitive abilities." Birds have very small pontine nuclei. Instead, they have a similar structure called the medial spiriform nucleus (SpM) that has similar connectivity. Located in a different part of the brain, the SpM does the same thing as the pontine nuclei, circulating information between the cortex and the cerebellum. "This loop between the cortex and the cerebellum is important for the planning and execution of sophisticated behaviors," said Dr. Doug Wylie, Professor of Psychology and co-author on the new study. Using samples from 98 birds from the largest collection of bird brains in the world, including everything from chickens and waterfowl to parrots and owls, the scientists studied the brains of birds, comparing the relative size of the SpM to the rest of the brain. They determined that parrots have a SpM that is much larger than that of other birds. "The SpM is very large in parrots. It's actually two to five times larger in parrots than in other birds, like chickens," said Dr. Gutierrez. 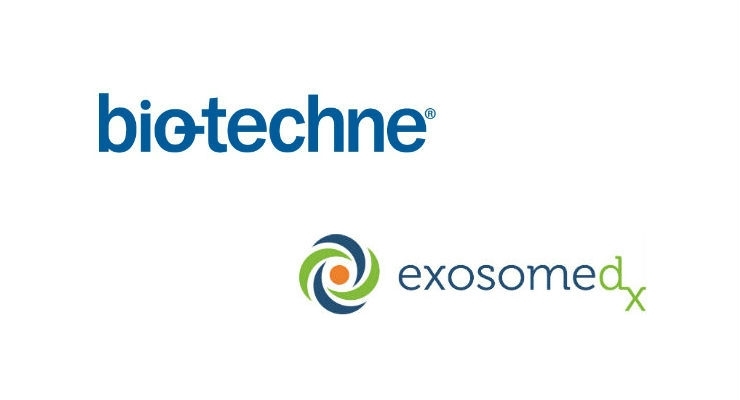 On June 25, 2018, Bio-Techne Corporation (NASDAQ: TECH) announced that it had reached agreement to acquire Exosome Diagnostics, Inc. for $250 million in cash, plus contingent consideration of up to $325 million due upon the achievement of certain future milestones. The transaction is expected to close in July or early August 2018. The transaction will be financed through a combination of cash on hand and a revolving line of credit facility that Bio-Techne expects to obtain prior to the closing of the acquisition. Bio-Techne's management team held a conference call on June 26, 2018 at 8:00 am CDT to discuss the Exosome Diagnostics acquisition. Charles R. Kummeth, President and CEO of Bio-Techne commented, "We are excited to acquire the Exosome Diagnostic technology platform and integrate it into the Bio-Techne portfolio. ExosomeDx's technology is a game-changer, and positions Bio-Techne to be a leader in the rapidly-growing non-invasive liquid biopsy market. There are multipl e synergies with our core company, including our 40-year track record of developing and commercializing the highest-quality biologicals, especially in the field of cytokines. We will leverage our strong brand and market leadership position to extend these core competencies to the science of exosomes and cell free-DNA (cfDNA) biology and their utility as novel diagnostic tools. The non-invasive nature of this technology creates a new process for liquid biopsies and is likely to transform medical practice. Exosome Diagnostics complements our molecular pathology business, Advanced Cellular Diagnostics (ACD), which remains a robust growth segment for the Company." Currently Exosome Diagnostics markets a urine-based test, ExoDx® Prostate(IntelliScore) (EPI), to assist physicians in determining the need for a prostate biopsy in patients with an ambiguous PSA test result. An international research team led by researchers at Helmholtz Zentrum München, Technical University of Munich, and the University of Edinburgh has used an integrated structural biological approach to elucidate the maturation of a cancer-causing microRNA in gene regulation. In the future, the authors hope to develop new therapies based on the findings published online on June 26, 2018 in Nature Communications. 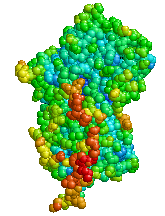 The open-access article is titled “Structural Basis for Terminal Loop Recognition and Stimulation of pri-miRNA-18a Processing by hnRNP A1.” MicroRNAs (miRNAs) are a class of molecules consisting of short RNA sequences that inhibit the formation of certain proteins by destroying the corresponding RNA blueprint. Cancer-causing miRNAs, so-called oncomiRs, also function according to this principle and inhibit the production of proteins that protect the cell against uncontrolled growth. "Thus, an increased presence of these molecules in cells leads to the development of cancer in the long term," said Professor Michael Sattler, Director of the Institute of Structural Biology at Helmholtz Zentrum München and Professor of Biomolecular NMR Spectroscopy at the Technical University of Munich. "However, some molecular mechanisms of miRNA maturation in the cell remain elusive." Usually, before a miRNA can act in the cell, it undergoes several maturation steps and develops from a so-called primary pri-miRNA via a precursor stage (pre-miRNA) to a mature miRNA. In the current study, Professor Sattler, together with researchers led by Professor Javier Caceres and Dr. Gracjan Michlewski from the University of Edinburgh and his former doctoral student Hamed Kooshapur (now at the National Institutes of Health, USA), investigated the maturation of a specific pri-miRNA. Scientists have found that it is the structure of collagen, rather than the amount, that leads to the devastating condition of lung fibrosis, according to a report published online on July 3, 2018 in the journal eLife. The open-access article is titled “Nanoscale Dysregulation of Collagen Structure-Function Disrupts Mechano-Homeostasis and Mediates Pulmonary Fibrosis.” The study provides the first evidence in humans that altered collagen structure affects tissue stiffness during progression of lung fibrosis and identifies a potential new target for drugs to prevent the condition. It is widely thought that fibrosis occurs when components that hold together a tissue's architecture [called the extracellular matrix (ECM)] build up in the tissue and lead to tissue stiffness. But recently evidence has suggested that this increased stiffness causes the build-up of yet more ECM components, resulting in a cycle that causes more scar tissue. 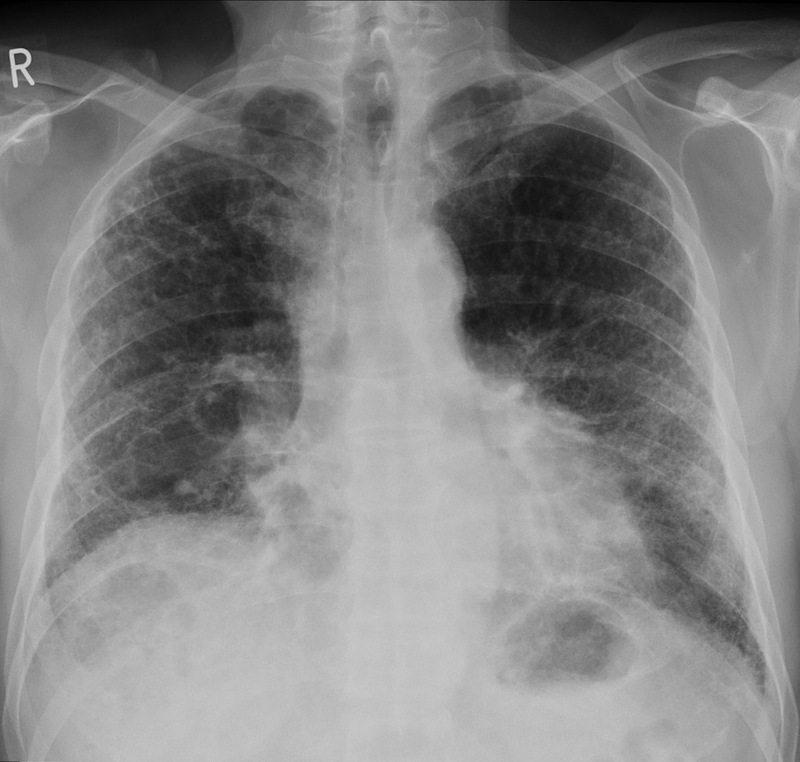 "We knew that stiffness is an important factor in the build-up of scar tissue in the lung," explains lead author Dr. Mark Jones, National Institute for Health Research (NICR) Clinical Lecturer in Respiratory Medicine at the NIHR Southampton Biomedical Research Centre and the University of Southampton, UK. "But we didn't understand what specifically causes increased stiffness in diseased human tissue. Given that excessive build-up of collagen is considered a hallmark of fibrosis, we wanted to see whether this molecule has a role in tissue stiffness." The researches started by looking at the biological and mechanical features of lung tissue from people with lung fibrosis and compared this to healthy lung tissue. They found that the lung fibrosis samples were much stiffer than those from healthy people but, surprisingly, had similar levels of collagen. Recent groundbreaking research has demonstrated proof-of-concept for using CRISPR-Cas9 genome editing technology to correct the gene mutation responsible for alpha-1 antitrypsin (AAT) deficiency, successfully making a targeted gene correction in the livers of affected mice that restored at least low levels of normal AAT. In two studies, both published in Human Gene Therapy, a peer-reviewed journal from Mary Ann Liebert, Inc., Publishers, two groups of researchers used somewhat different approaches to achieve these historic results in mouse models of AAT deficiency (AATD) and discuss why their findings are so important for the future treatment of patients with ATTD, The articles are available free for download on the Human Gene Therapy website until August 2, 2018. The article entitled "In vivo Genome Editing Partially Restores Alpha1-Antitrypsin in a Murine Model of AAT Deficiency " was coauthored by Dr. Terence Flotte, Editor-in-Chief of Human Gene Therapy, and Wen Xue, both from the University of Massachusetts Medical School (Worcester), together with a team of researchers from UMass Medical School, Tongji University (Shanghai, China), and Wuhan University (China). The researchers co-injected two adeno-associated viral (AAV) vectors: one to deliver the Cas9 component of the CRISPR-Cas9 system; and the second encoding an AAT gene-targeted guide RNA and carrying a homology-dependent repair template. This article was published online on May 14, 2018. Dr. Shen Shen, Editas Medicine, together with researchers from Editas and St.